Hailing from Sweden, Dreas is one of Europeâ€™s best kept secrets in trance of late. Heavily supported productions on leading labels, a successful residency at his own club night and an ever growing demand for his djing and production skills means he will not remain a secret much longer. Having enjoyed a musical background and upbringing from a young age and an undoubted passion and ability to produce, engineer and create music, he is a truly refreshing sight and sound in an ever cluttered market of samey and similar producers and djs. 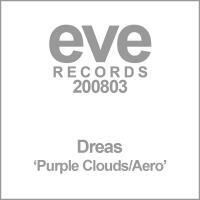 A successful string of productions including the massive Aero / Purple Clouds EP on Eve Records released in 2008, have seen the likes of Paul van Dyk, Tiesto, Armin van Buuren and Above and Beyond show their support for his sound. Not a one tune wonder, this success carries on a succession of heavily supported productions including â€˜Havannahâ€™, â€˜Genesisâ€™ and Arctic Sweep to name but a few.